Charlie woke up this morning to reveal he had Chicken Pox! Yipppee! I envisaged a day(or several) of playing board games, sitting and distracting him while dabbing on baking soda paste…. 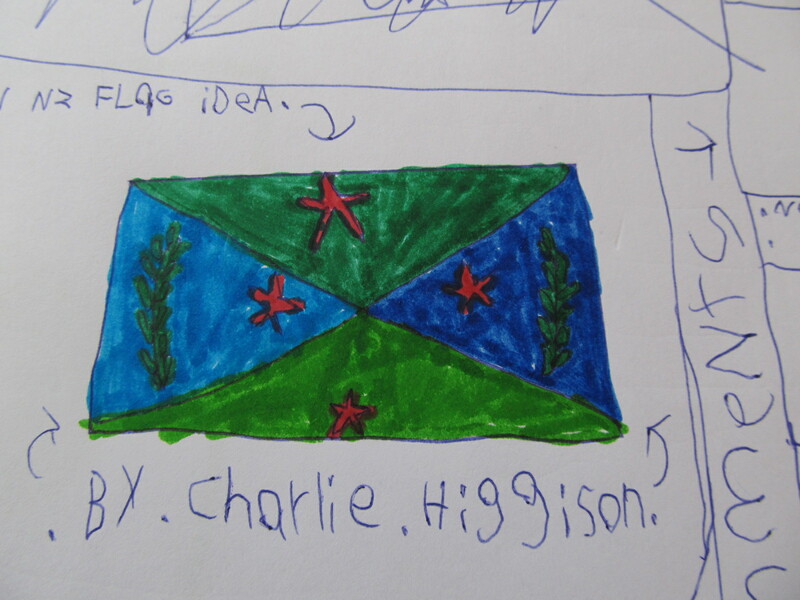 But after leaving him with his drawing pad and felts I returned to find him designing a new NZ flag. He has continued, all day now on to his 4th design. 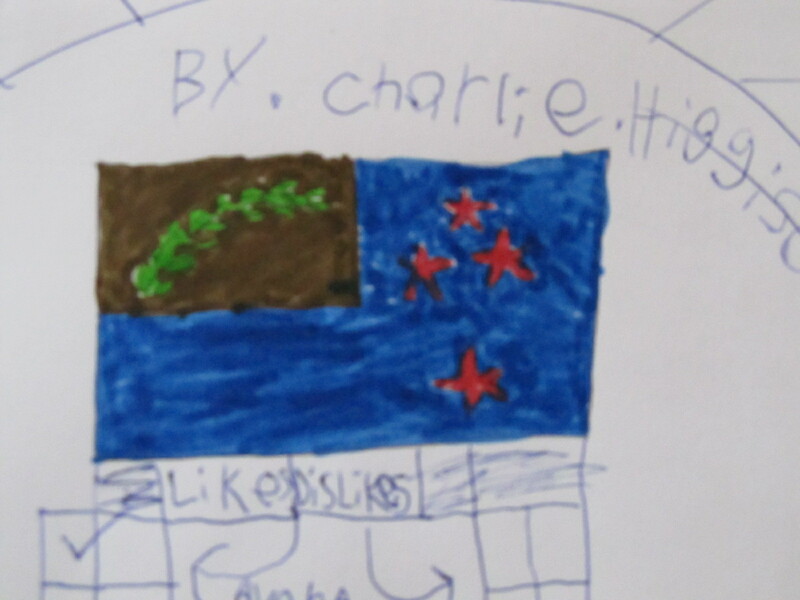 There has been some discussion, in the media and around the dinner table, as there often is when an election is coming up about a new flag…. 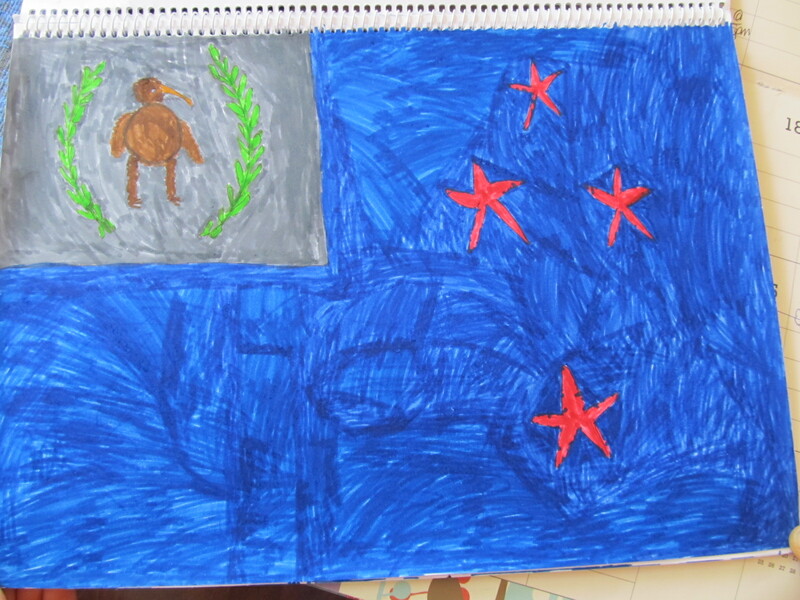 Design 2 : No Kiwi…. Mmmm, the fourth design is looking interesting too…different…. A big part of this has been a chart accompanying each design and everyone who has been here today has been asked to tick a like/dislike column and add comments and ideas. Even in the spotty and scratchy space he is in, his imagination is on fire. He has just had a fever for 2 days prior and this is a common thing to come out of a fever bursting with new ideas. Very exciting and, handily destracting too…. 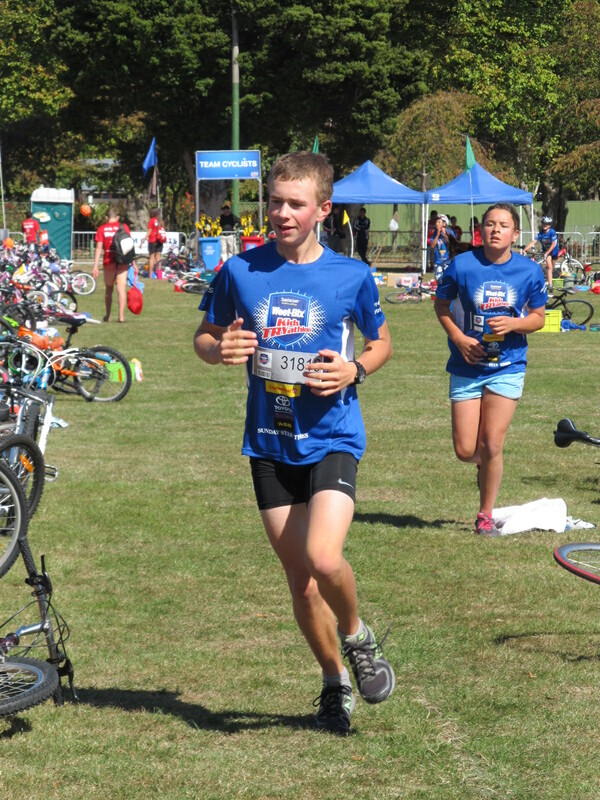 Ollie has just completed the Weetbix triathalon, an old hand now! He was so confident and gave his all, enjoying it so much. 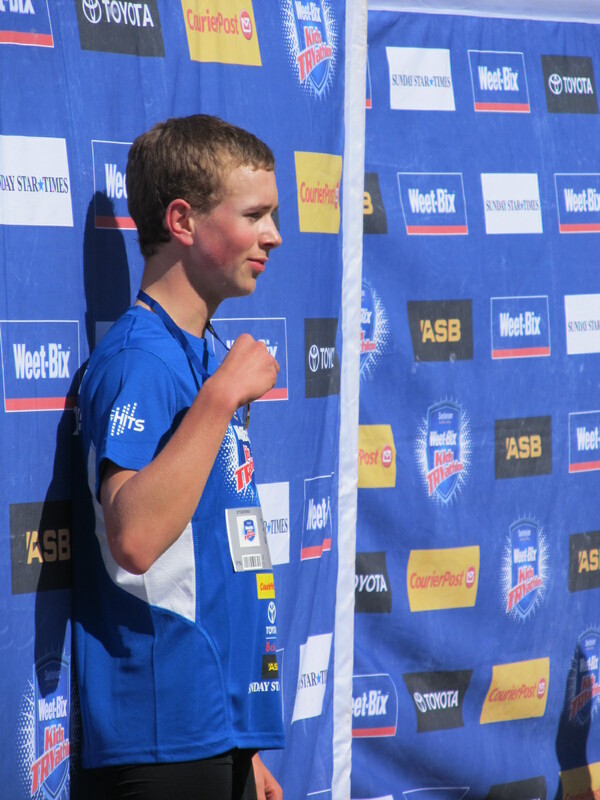 He has been swimming 4 times a week as a squad member and really enjoying, pushing himself while getting fit. Always so proud as a parent to watch him growing up, becoming so confident and so passionate about what he is doing. As our year unfurls its new rhythm Ollie has been able to realise a long held dream. At age 4 he became interested in the Army and has collected army gear to rival that of any quartermaster since. 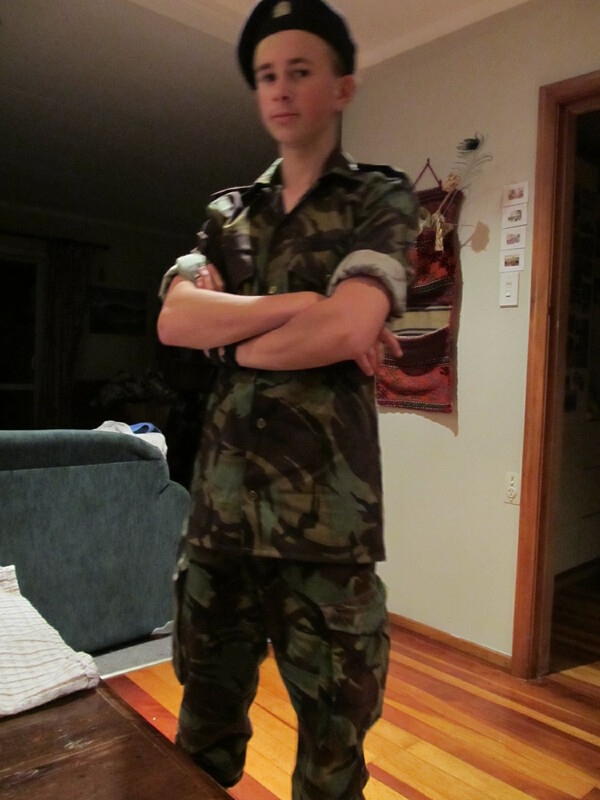 Our dress-up box bristles with real NZ Army uniforms, he has bits of uniform from other countries, gear, kit, camo designed paraphenalia. His herosl have one thing in common…they are all ex-SAS! Even though his passion has meandered into off-shoots, up tributaries and back as he has explored survival, bushcraft, disaster preparedness, first aid and politics there has always been the Army. He once said to me “Mum it is my dream to have an army to command.” And so he would organise 5 or 6 friends into an army. 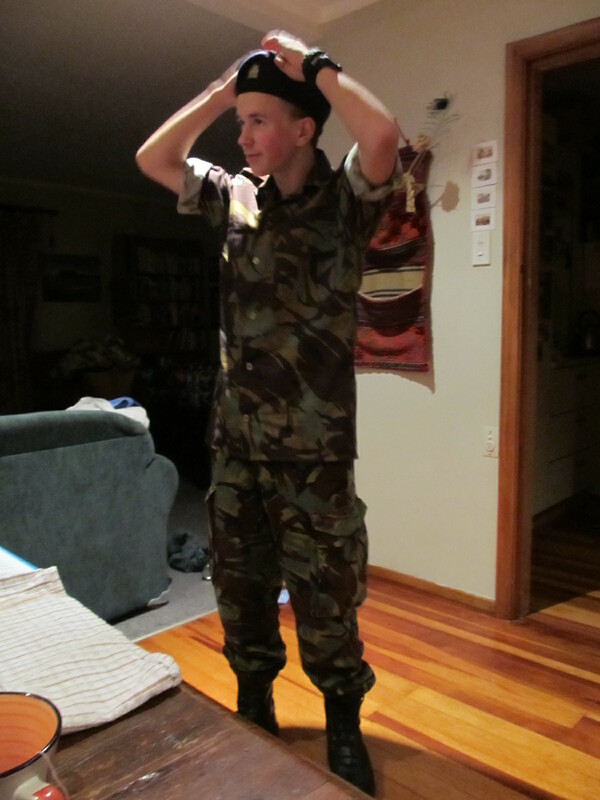 Now at 13yrs he is at last eligible to join Army Cadets! Yeeehaaa!! Today he was very excited about polishing his newly issued boots. Which he did well. It is strongly reminiscent of having a baby. Like being in a bubble, a baby bubble. 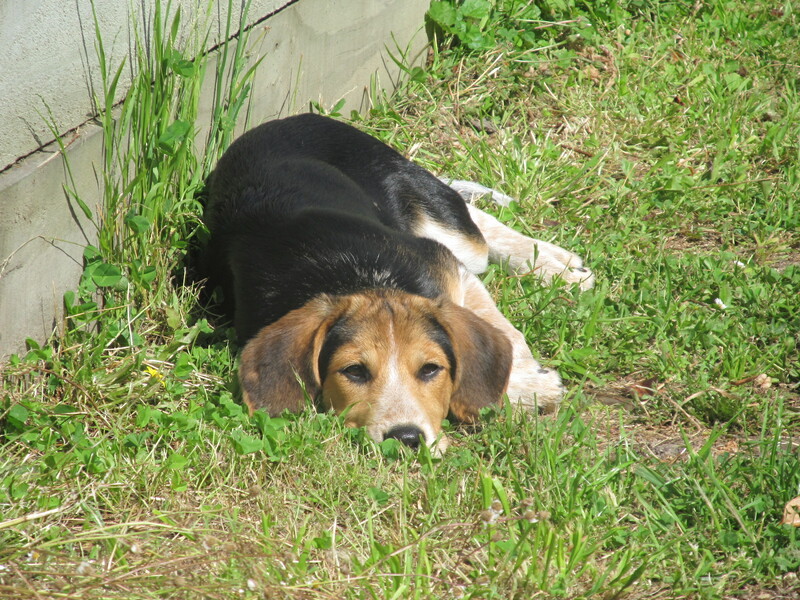 I have been locked in self imposed exile – a puppy bubble – for weeks. 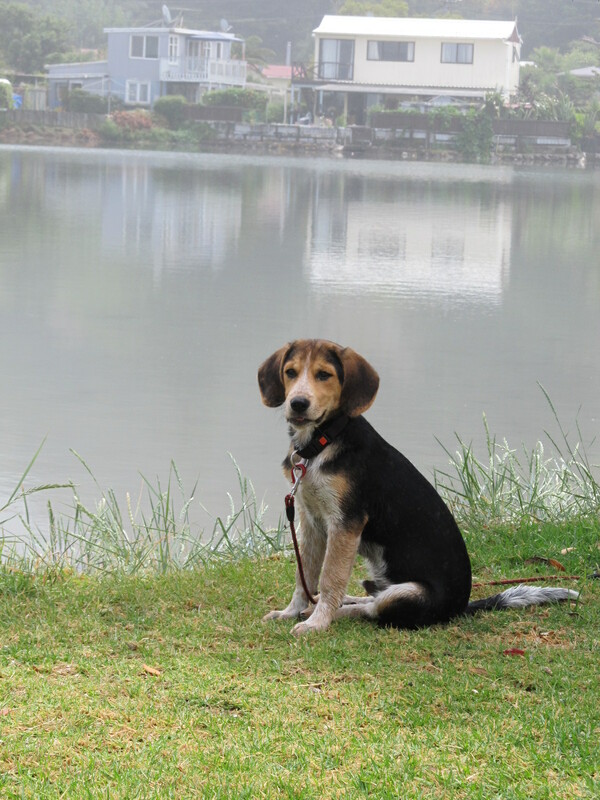 A delightful, cuddly, well loved bubble, but my own mini world of walkies, training, sleeping patterns, feeding…..
And in such a short time I have been initiated into the world of dog owners. It happened this morning when I was greeted by other dog walkers who then greeted Benji…by name! And so it happened, I am now known by my dog. Just when I was starting to get myself back from being someones Mum I have now become Benji’s person. 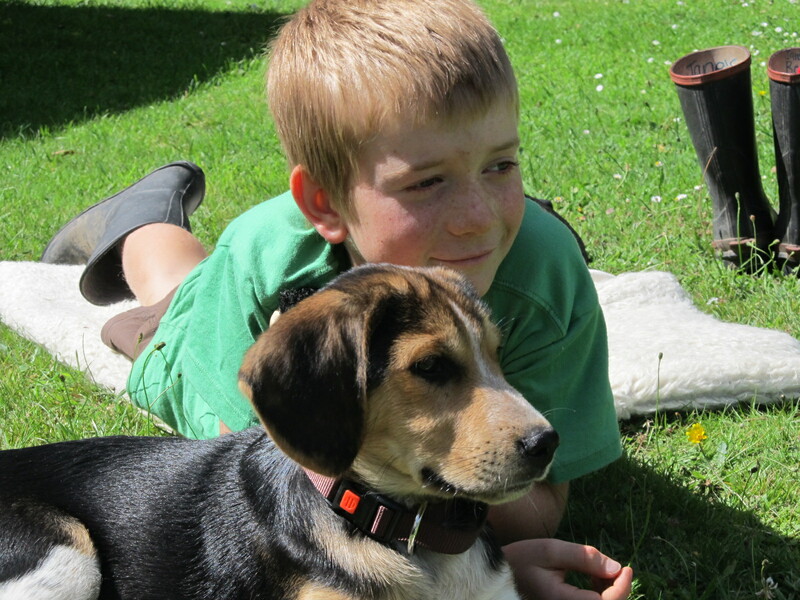 I frighteningly think I am a ‘type’ – I am a mother of a certain age who gets a dog as my youngest hits double figures and seems to sit less and less on my lap, weighing more each time. There are a few of us out there I am beginning to realise. Still, a friend the other day reminded me how dogs and owners do seem to resemble each other. So as I gaze lovingly into Benji’s eyes and fondle his soft ears I feel better about myself as he is an exceedingly good looking dog. I heard a homeschooling parent say that they don’t mind what their child does as long as it is “productive” or looks industrious. This is no different to school. In school, adults in positions of power (Government ‘experts’) have decreed what is acceptable for a child to be learning. 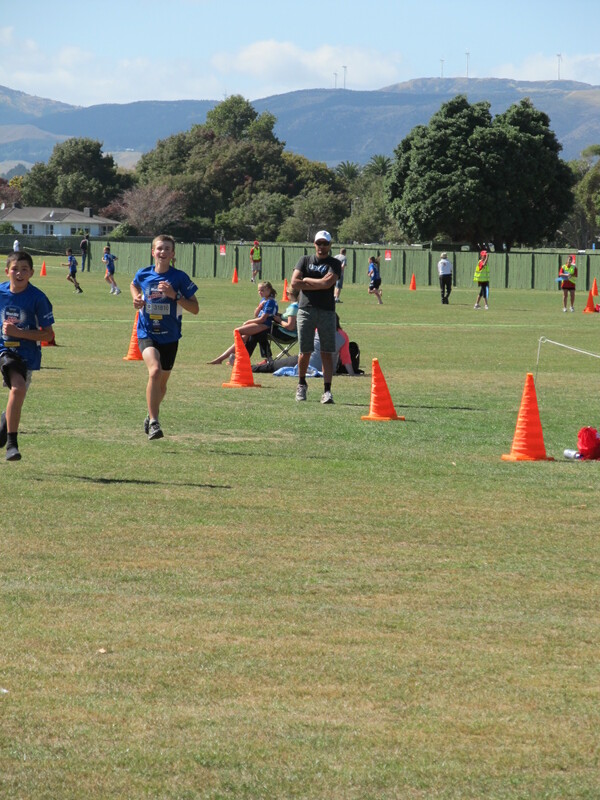 As an unschooler I have learnt the biggest lesson is to trust our kids. When, to me, it may look as though they are “wasting time” or being unproductive I have learnt to trust that they are doing what is right for them at that time. They have always reminded me of this over the years and I may be a slow learner myself, but I hope I have got a handle on it now. In this way unschooling is like life. Accepting and trusting that others are doing what they need to do on their own journey through life. There is great freedom is letting go of judgements and accepting others. We each of us are on our own journey and there is no one else that can tell what you should be doing, for they do not know where you are down that path. I like it that our education philosophy has parallels in real life and the big picture. 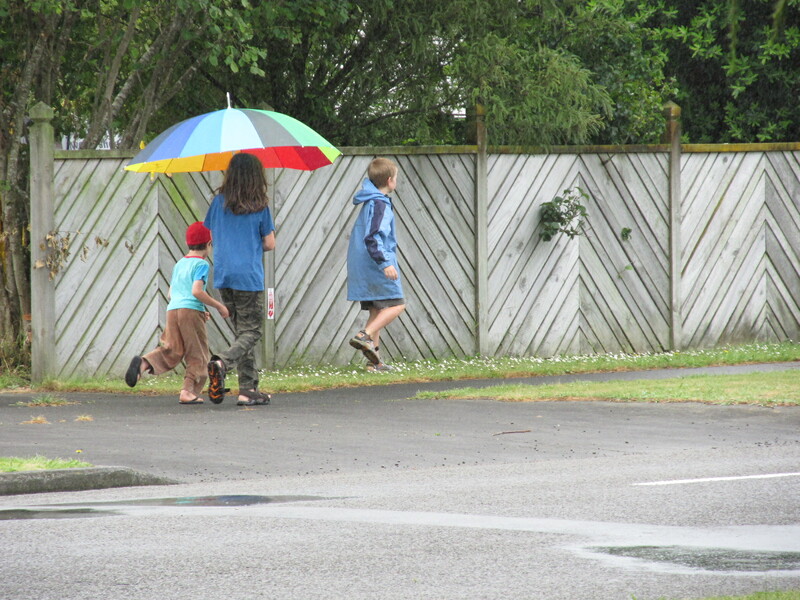 Other creative stuff our kids like to do…. 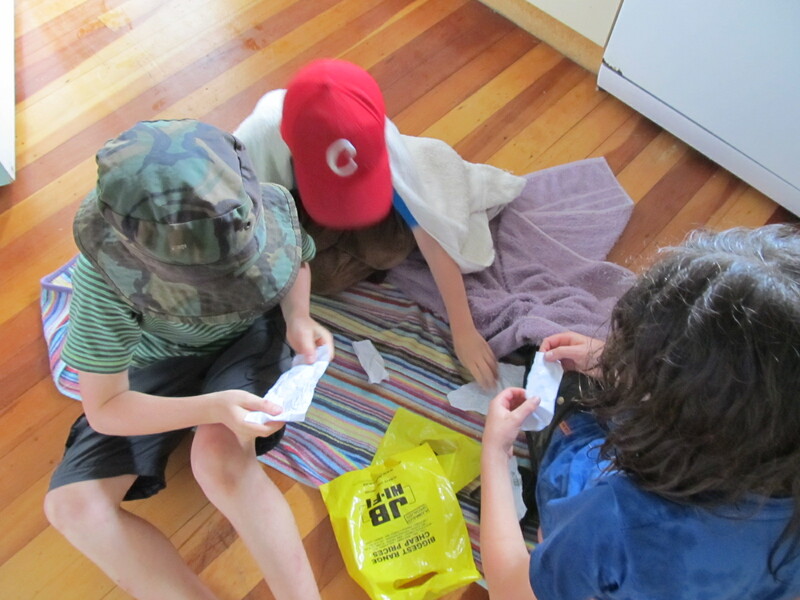 Ollie, Tilly and another friend decided to do a surprise treasure hunt type thing for Charlie, Henry and Walker. 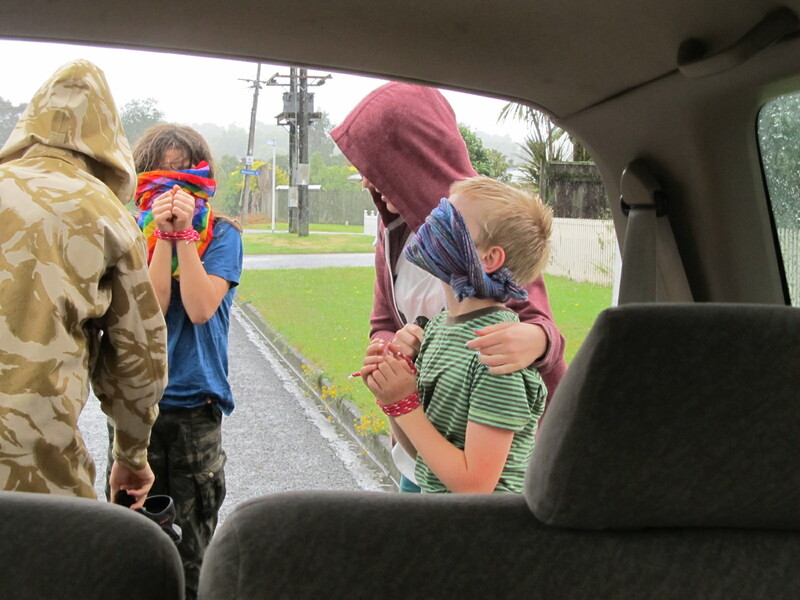 They set up notes, codes, “clues” and then surprised the three boys, telling them they had to do a spy mission. Unfortunately it was pouring with rain when they set out…. But they managed to collect everything and returned soaked to the skin! They put together clues, got dried and then were hijacked, blindfolded etc and thown into the car. I had to drive around to confuse them before depositing them at their next stop! They did end up at the pool though and had a big swim. The boys loved it as much as the older kids enjoyed making it all up I think…..
OH yes! We have our new dog. 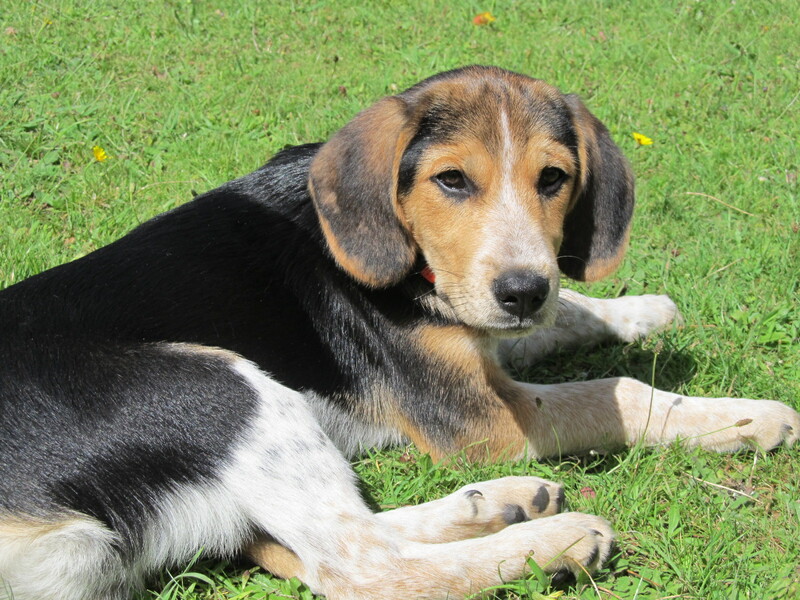 Benji is just 14 weeks old, his mum is a very gorgeous pure bred Beagle, his Dad a holiday romance of unknown breed (I am thinking Huntaway, he has big feet!) 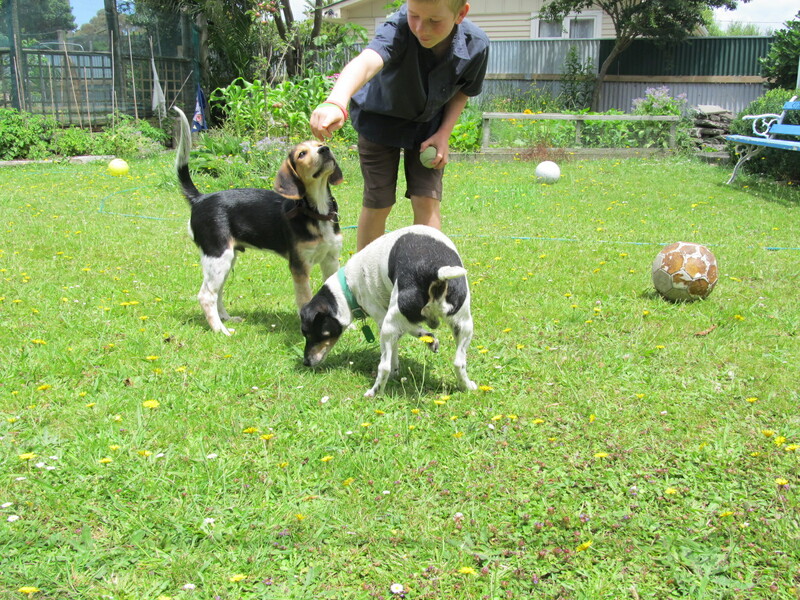 This has been a dream of Charlie’s for a long time, so very exciting that finally after travelling, getting settled, getting a fence built and finding the right dog Benji is now part of our family. 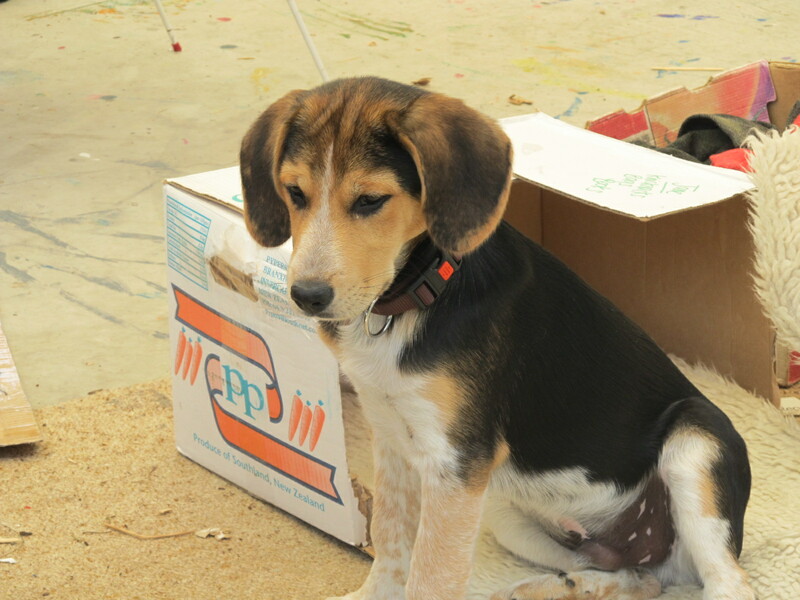 It feels like a big learning curve having a puppy! But wow! 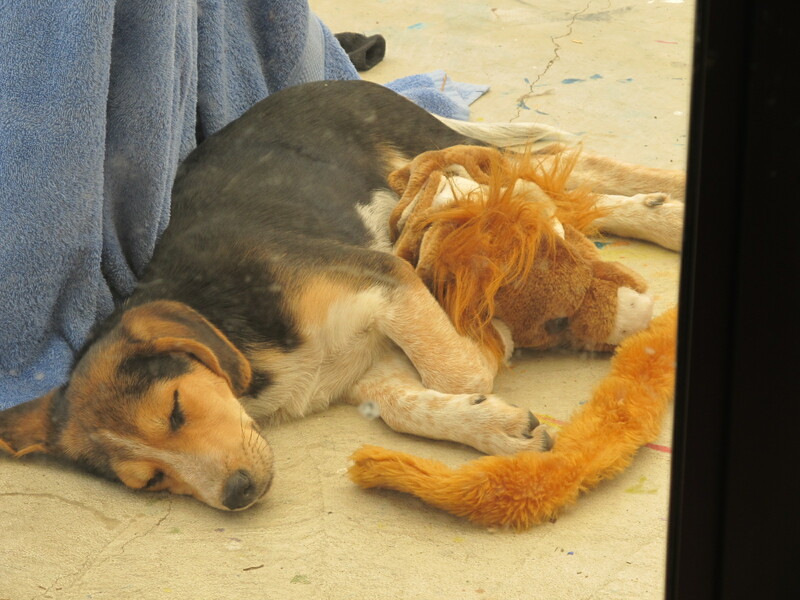 what love and cuddles already….. His favourite toy has been a lion dress-up mask, which he pulls into his bed to sleep with…mmm…may have to change that! We have been lucky to have Pilot staying with us this week, a friend’s wise old Jack Russel who has been invaluable in helping Benji settle in. He will really miss him next week. It has been so funny seeing Benji watch and copy Pilot, who has been extremely patient and long suffering. We have managed to sneak him out for some decent walks though as a thanks for all he has done!